Anittssa shopped our Tempe, AZ bridal store location early in 2017. She came to us in search of the perfect plus size wedding gown for her destination wedding the following year. 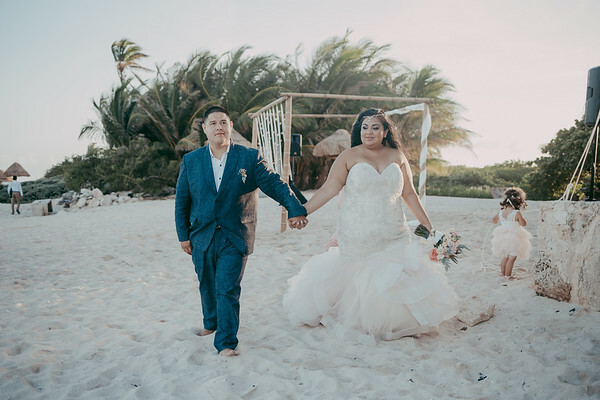 With the help of our expert stylists, Anittssa found a dazzling plus size mermaid wedding gown fit for her unforgettable Mexican wedding June 20th, 2018. Her bridal gown also features dense embroidery with twinkling crystals and iridescent pearl beads. The gown flares to soft gathers of tulle billowing in gorgeous ruffles. The horsehair hem also adds to the drama in an excellent way. While Annitssa wore a champagne wedding dress, it’s also available in ivory and white, to size 32. 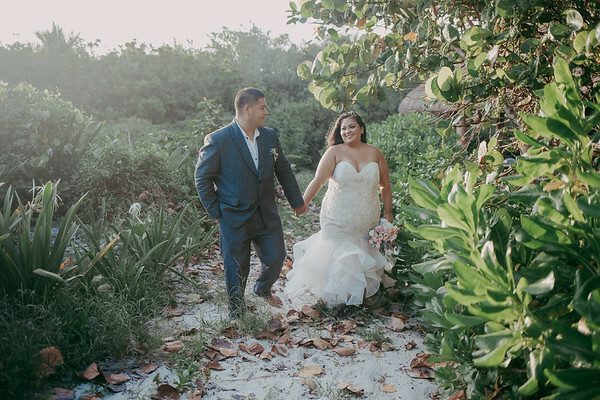 We cannot get over how stunning Anittssa looks wearing this dazzling plus size mermaid wedding gown! 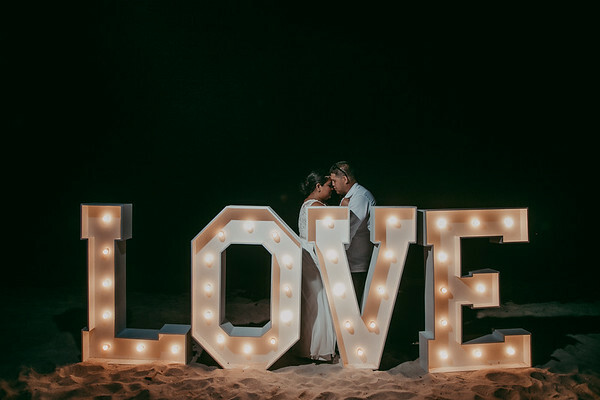 Anittssa and her beau tied the knot in June of 2018 in Riviera Maya, Mexico. 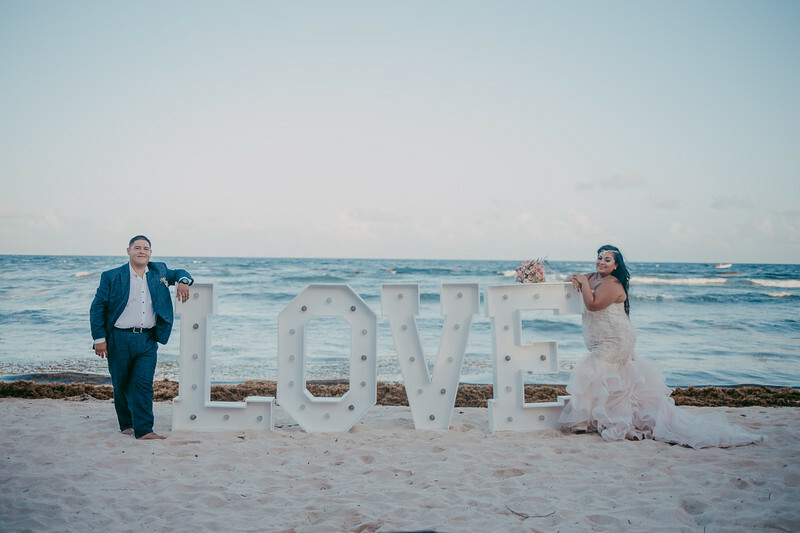 The ceremony took place on a private beach venue. How glam! We’d like to congratulate the happy couple and wish them all the happiness. We’d also like to thank Anittssa for letting us be such an important part of her special day. 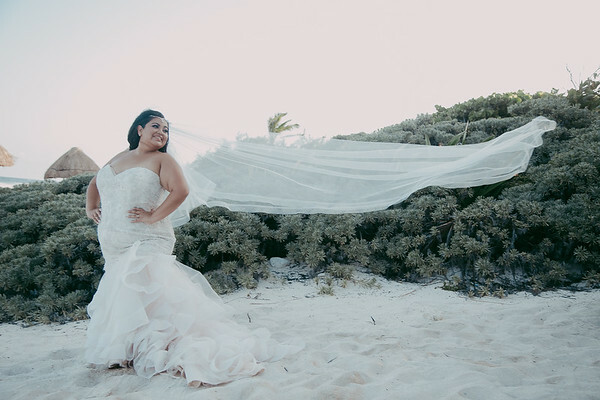 If you’re in love with Anittssa’s plus size mermaid wedding gown as much as we are, it is available to try on at both our Tempe, AZ and Long Beach, CA bridal stores. Head over to our appointments page and let our expert stylists help you find the wedding gown of your dreams. Don’t forget to stop by our Facebook page for information on upcoming events.